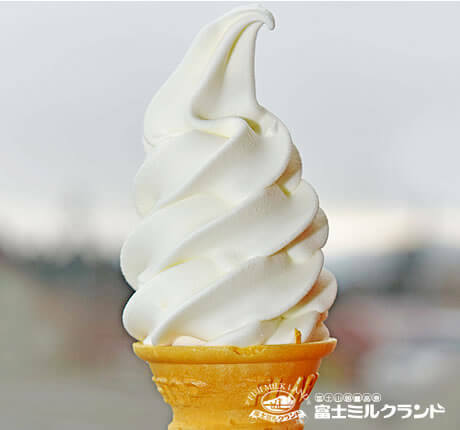 Eating | Visit Fuji Milkland at the foot of Mount Fuji in Asagiri Kogen highland. Fresh made gelato melts away in your mouth. 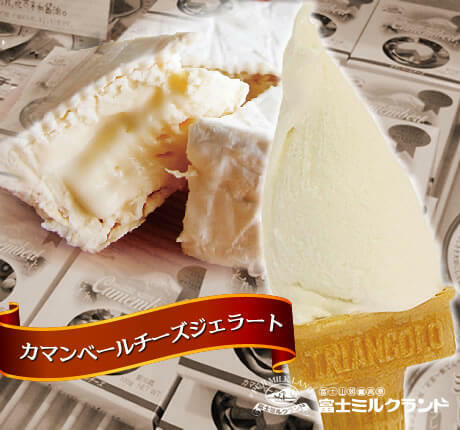 Because they are made from fresh milk, each gelato has an aroma of raw milk. If you like large portions, try this one. If you would like to try on of our classics, seasonals and your favorite all at the same time, this is the one for you. The store is located near the parking lot. the ice cream is delicious. 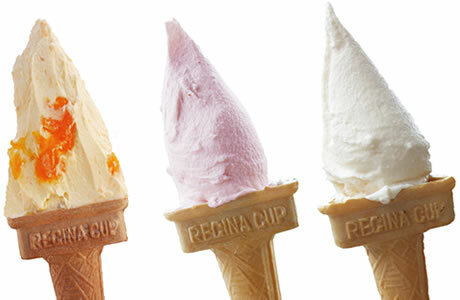 Various topping material are available at the Ice Cream wagon. Seasonal toppings include mango, chocolate, and strawberry. 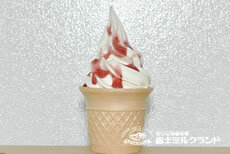 Cup variations include Fujinomiya Strawberry and Asagiri Rusk. You can come without any preparation and enjoy a BBQ here. Please check out the monthly events page. Reservations are recommended especially for large parties. BBQ plans for lodge guests are also available. Please check the “Staying” section. Utensils are available for renting. 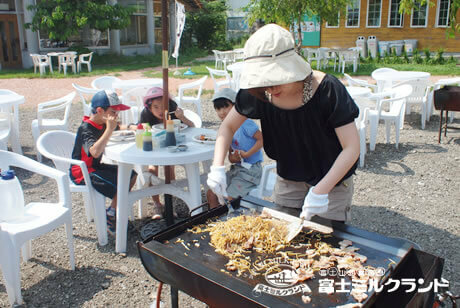 In case of bad weather, you can enjoy the BBQ indoors in the BBQ House. ■ Please contact us for details using the inquiry form. 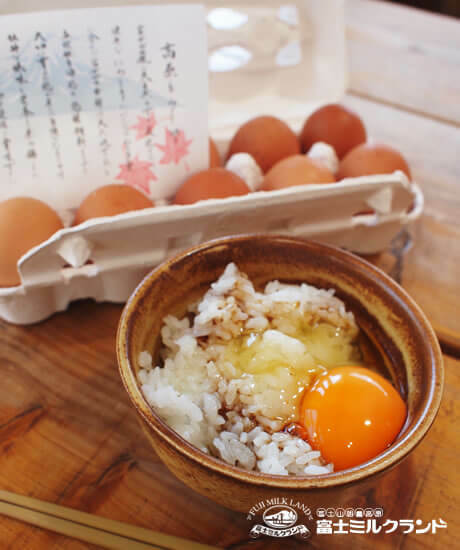 Casual dishes like rice bowls and curry are served here. 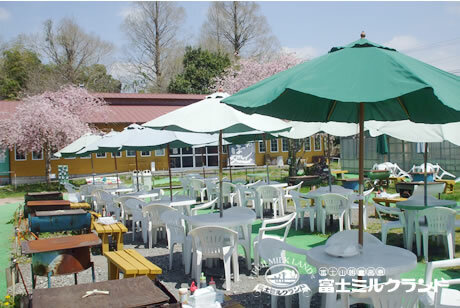 You can enjoy your meal with your pet on the restaurant terrace. Business hours: 11 a.m. to 3 p.m.
Indoor seating is available on weekdays between October 1 and March 20. 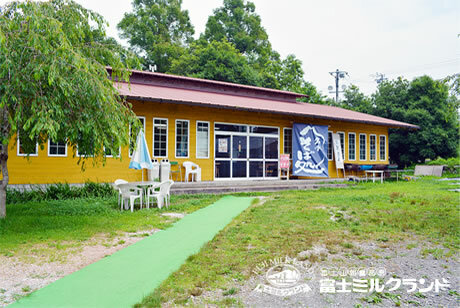 Soba and Udon noodles made with underflow water from Mount Fuji are served here. Please try our fresh fried tempura along with the noodles. 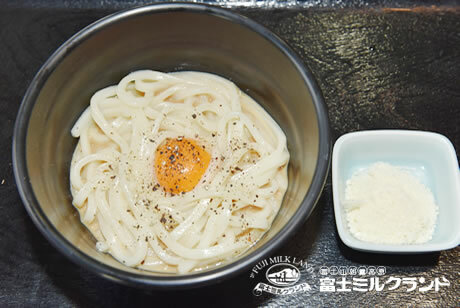 Our smooth udon noodle is topped with our Asagiri Takarayama Momiji Egg and parmesan to make a Japanese-style carbonara. Kake Soba or Udon noodles in hot soup. 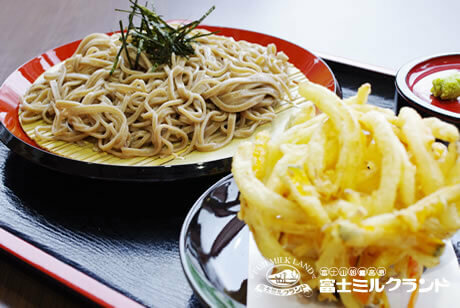 Meisui Zaru Soba or Udon served with a side serving of dipping sauce. Our special soba and udon are made with underflow water from Mount Fuji. Comes with fresh-deep fried tempura using vegetables from Asagiri Kogen served warm or cold.